The Giraffes Logan Sq. Auditorium, Chicago Thursday, June 1, 2006 Apparently The Giraffes don’t like Chuck Eddy. 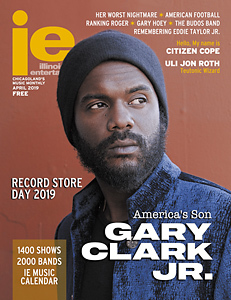 We’ve done this story way too many times: A well-liked, well-known local musician is blind-sided by some sort of medical emergency — be it disease or accident — that leaves him laid up in a hospital. And because he’s a working musician, there is no health insurance. Peeping Tom Peeping Tom (Ipecac) Guest-loaded, long-awaited Mike Patton project might be his first work in years to appeal to conservative Faith No More fans — maybe. Tea Leaf Green Taught To Be Proud (Reincarnate) Jammy-award upstarts Tea Leaf Green meld downer reborn-speak with toe-tapping, hemp grooves. Depeche Mode Speak & Spell/Music For The Masses/Violator (Rhino) Massive reissue campaign for Depeche Mode’s core albums tallies a “dexuxe edition” CD and accompanying DVD for each. Sam Roberts Chemical City (Secret Brain/Fontana) Perennial Juno Award nominee Sam Roberts, despite the exploits of fellow Candaian success stories, has been unable to crack the States. Kris Kristofferson Live From Austin TX (New West) Drafted from a full “Austin City Limits” concert that was edited into a half-hour TV program in 1981, Live From Austin TX compiles mainly unreleased performances. DeVotchKa Curse Your Little Heart (Ace Fu) A covers EP with an LP’s heart, DeVotchKa’s cinematic treatises recall both Calexico and The Arcade Fire. Scott Solter One River (Tell All) John Vanderslice’s aide-de-camp in the studio pours forth his second ambient work. Space Needle Recordings 1994-1997 (Eenie Meenie) Ignored Rhode Island indie rockers finally get their due on this selective reissue. 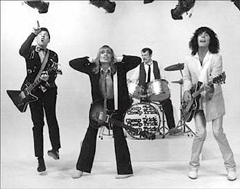 Cheap Trick The Rockford Files You know the old saying, ‘If you can make it in New York, you can make it anywhere’?” asks Cheap Trick’s lead guitarist and main songwriter Rick Nielsen. “I say, ‘If you can make it in Rockford, you can make it anywhere.’” Appearing 9/3 at Ravinia in Highland Park.